So recently I started putting together my eleventy twelfth playlist, this time for an iPod Shuffle. I skim through my music library, past all the crap. How some of that music got in there… oh, yeah, I remember. Some dude left his external hard drive of music at the office over the weekend a few years ago, so we all plugged it in and grabbed everything on it. 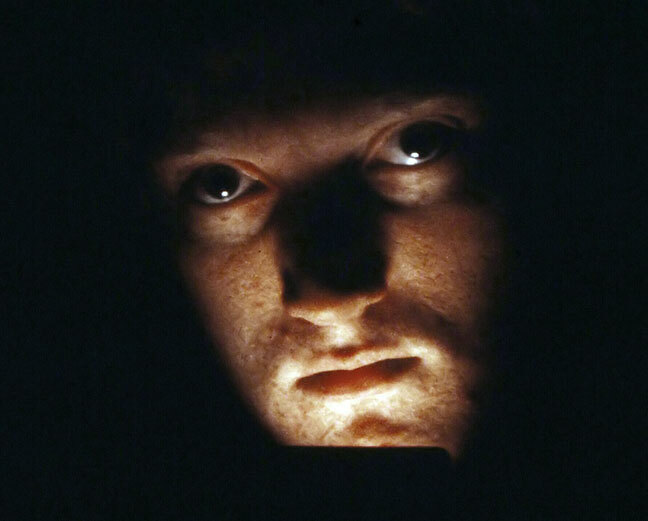 This image, on extended loan from the Richard R. Barron Collection at the International Museum of Ultra-Serious Self-Portaits Made with a Light Bright, was shot in about 1982. So I skim past Madonna and Janet Jackson and Pat Benatar and Squirrel Nut Zippers and on and on, and I drag only the songs I really love to the playlist, which is only 2GB. But it turns out that Cusack was right: was it me or the music? It seems like most of the songs are, even in the latter days of my romantic life in which I am clam happy, mostly about the misery of love. All of this reminded me of a writing assignment in tenth grade. English II teacher Gil Hernandez had us pick a popular song and write a short analysis of the lyrics. Michael picked (What a) Wonderful World, although I don’t know if he was listening to the original Sam Cooke or the Simon/Garfunkel/Taylor remix. My song to analyze was The Beatles’ Let It Be, because my small record collection included some Beatles, and I thought it would make me look deep. I was wrong, of course, because the lyrics to Let It Be are, like almost all song lyrics, pretty straightforward. Granted, they’re not as straightforward as, say, a Brooks and Dunn song, but still, Let It Be isn’t a complex weave of literary mystery. All this got me thinking, particularly when I was on the road yesterday, about what song of that era deserves analysis, and by what virtue? Complexity? Imagery? Subtlety? As I drove, with my iPod set to shuffle, I listened to the first few bars or lines of song after song after song, looking for a song from the summer of 1978 or earlier that fit the puzzle. It was pretty fun. One thing I did discover is that lots of song lyrics from the 1970s are at least as shallow and lame as later lyrics. I listened and listened and listened. Of the three hours in the car, I spent more than two rejecting one song after another. The process accelerated. I know my music library pretty well, and I was able to reject a song based just the first couple of notes. Then, about 25 minutes from home, came the song I sought. As soon as I heard the first scratchy guitar chords, I got a big smile on my face. It was Pink Floyd’s Wish You Were Here. Wow. What a great song. The music is great. I know every word and every guitar note in it. I always sing along, and my guess is that everyone who knows this song sings along every time it comes on. This certainly ranks among my all-time favorites. Of its era, I rank it number one, easily. I wonder what Richard of 1978 would have written about it for that English II assignment. This was one of my earliest stereo stacks, circa 1981. 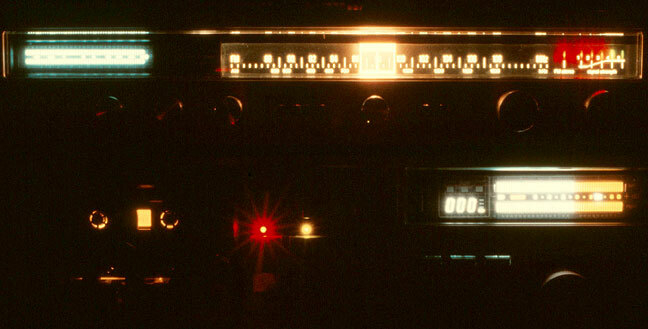 Note the VU meters on both the receiver, top, and the tape deck. Now imagine the crescendo of Wish You Were Here ringing through my headphones at rock concert volume levels. Did I recognize the Cusack reference? Yes, this time I did. :-) That movie had a hand in helping reevaluate a lot of what happened in my life, late teens, all of my 20s. I always heard that as “pot ashes for trees”. Make of that what you will. Did you settle on Wish You Were Here because of the criteria you cited, imagery, subtlety, lyric-writing? What ultimately was the quality that made you decide it was the best of its era? Or was it a matter of personal taste? The reason I ask is because I’d like to try this experiment myself (find a song worthy of analysis) but not unlike you I’m kind of stuck for a reason to select any particular song. I could write two dozen analyses of bucketfuls of U2 songs, but that would be boring because, basically, I’ve done that so much of the years, based on various criteria, there would be no point. But I can’t think of another group worthier of analysis of the past 25 or so years (“One” itself could inspire half a dozen essays). But maybe it’s the music that stands out only because it strikes a personal chord (ha) that deserves to be analyzed, more than the most obvious or intellectually challenging ones. I mean, what makes us like the music that we like? I’ve got the new Coldplay album playing now, but a lot of people hate that band. Just some idle ruminations. >>What ultimately was the quality<< I fall back upon inspiration. It moves me, and unlike lame sh!t that moved me one day and was gone the next, Wish You Were Here stood the test of time. It summons the same tears and the same feelings that it did when the plastic wrap from the LP was still in my college trash can that day in 1982. Also for your consideration: everyone has a "You" they think about when they hear Wish You Were Here. Who is yours? Either my daughter or my mother.